CARONI East MP Dr Tim Gopeesingh challenged the Government to publish the 2014 Coleman Report into the collapse of Clico and the Hindu Credit Union, speaking in Wednesday’s Lower House debate on the Corporation Tax (Amendment) Bill 2018. “After spending millions of dollars, who are they covering up for, friends, financiers or former office-holders?” he said. On July 1 2016, Prime Minister Dr Keith Rowley said the report had very serious allegations of criminal misconduct, but would not be published but be sent to the Director of Public Prosecutions. He spoke after Prime Minister Dr Keith Rowley whose speech he described as “a tirade of pavement talk” that did not answer any questions posed by the Opposition. Recalling someone running out of her house in duster and with curlers in her hair to rush to withdraw funds from Clico just before its crash, Gopeesingh said Rowley has no moral authority to talk. He said that from 2002 to 2010 the People’s National Movement in office had done nothing, even as the Clico issue was boiling and bubbling. 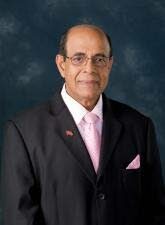 “How could he speak about Clico when the prime minister was a senior member if the government then in 2009? Gopeesingh warned against any fire sale of Clico assets by relating his US$200,000 loss during the liquidation of St Clair Medical Centre in which he own shares. While this disclosure provoked an admiring interest among MPs, Gopeesingh then said ordinary people don’t have money to buy shares in the National Insurance Fund (NIF). “Which small man has $1,000 to invest when 35,000 people lost their job. Gopeesingh quoted a recent report from Moody’s that predicted the sale of NIF bonds of Clico assets would flop, and earn the Government less than their intended sum of $4 billion. Reply to "MP: Publish Coleman Report!"